The organization doesn’t just want simple games and apps in the browser, however. It wants the browser to be capable of delivering high-end gaming experiences. 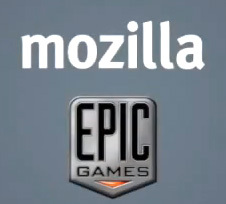 At GDC today, the company announced that it has been working with Epic Games to port the Unreal 3 engine to the Web. Streaming a gigabyte of map data and texture from a Web server just to play a game is obviously a non-starter; you wouldn’t be waiting 30 seconds for a level to load, you’d be waiting 30 minutes. As an example, BioShock Infinite, an Unreal 3-powered high-end title, takes about 17 GB on disk, the vast majority of which is game data. That’s not something that you want to have to wait for mid-game. The organization that’s responsible for the development of OpenGL, WebGL, and other related specifications, the Khronos Group, has set its sights on this problem. It’s early yet, but the group is planning to develop a common set of data formats for 3D models, textures, and other resources that 3D applications need, as well as a system for negotiating these resources.